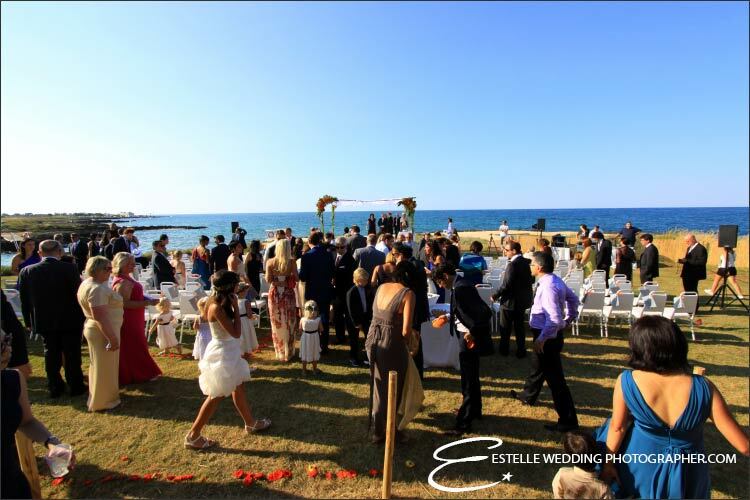 A beach wedding could be a very original solution even for ethnic ceremonies with many different features involving bride and groom and their guests too. 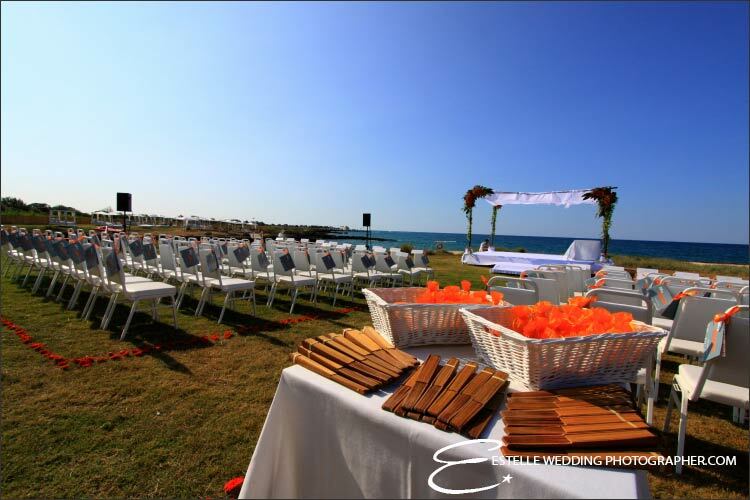 A ceremony on the beach could be ideal for an outdoor Jewish rite. 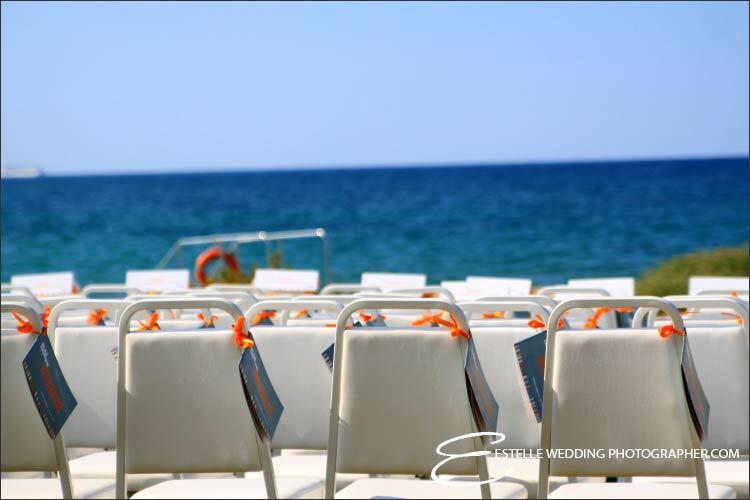 Wide Apulian beaches could be perfect for such a ceremony and a wonderful reception to follow. 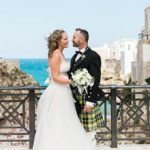 Our lovely planners for Apulia, Michela and Michela will be pleased to let you discover the perfect corner of Apulian paradise for your beach wedding. They will be by your side since the very beginning, planning with you an inspection visit and then arranging and coordinating with you every single step of the organisation. 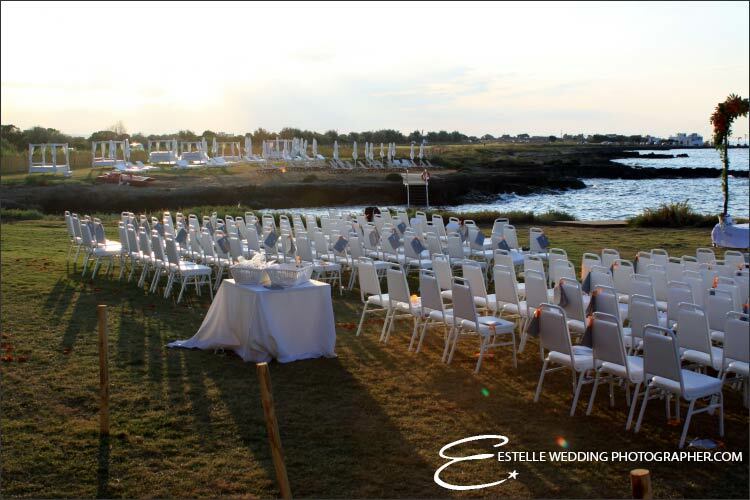 A private beach or a garden could be just the venue you are looking for, side of secular olive groves, scent of maquis, ancient walls in one of the pretty Apulia villages on the Adriatic sea shores. 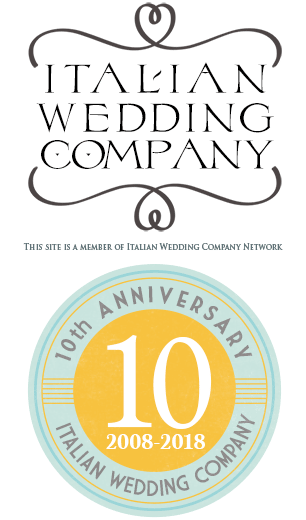 Michela and Michela’s photos, sketches and many emails help bride and groom to create a special event. 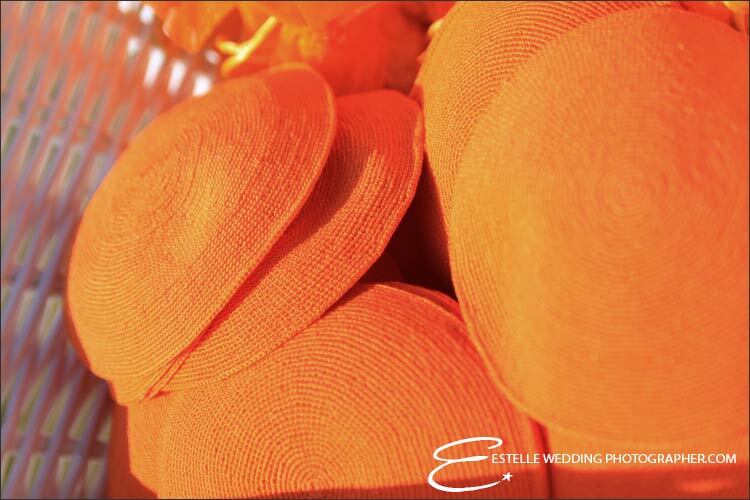 Constant support of high level wedding professionals such as florists, photographers, musicians etc do the rest. 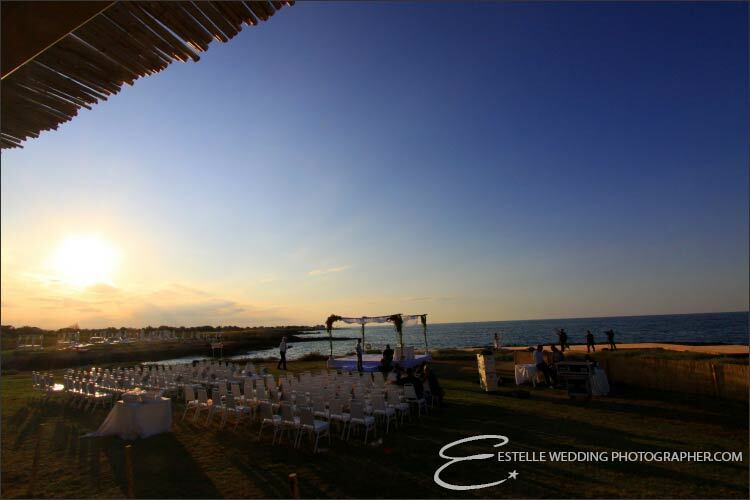 In this post you will see some pictures of Michela and Michela’s wonderful job for a beach Jewish wedding they planned some time ago. Ceremony is performed by a Rabbi. 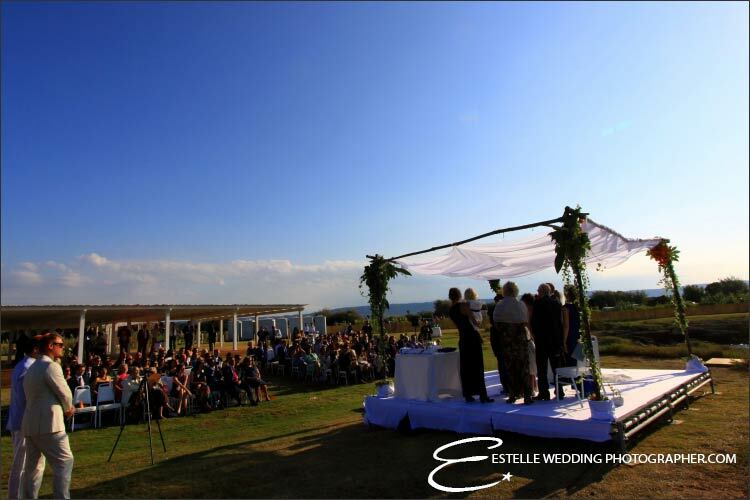 It is held under a canopy called Huppah or Chuppah. 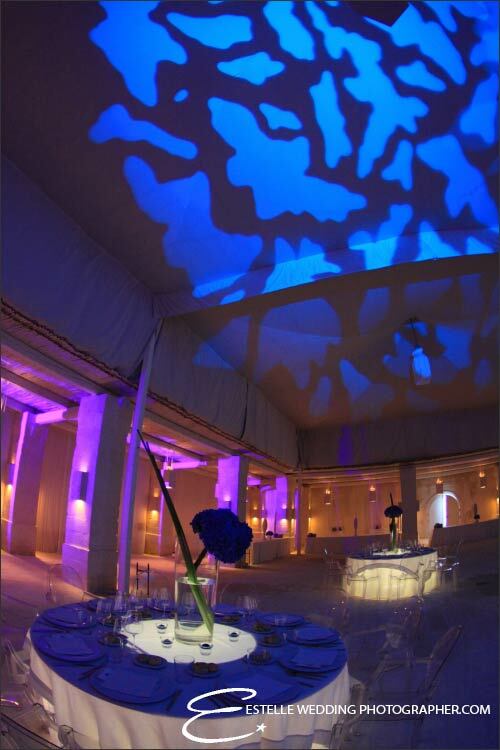 Huppahs’ s four corners symbolise the walls of bride and groom’s new house, a white drape on top will cover bride and groom’s heads letting them see a wonderful Apulia blue sky. 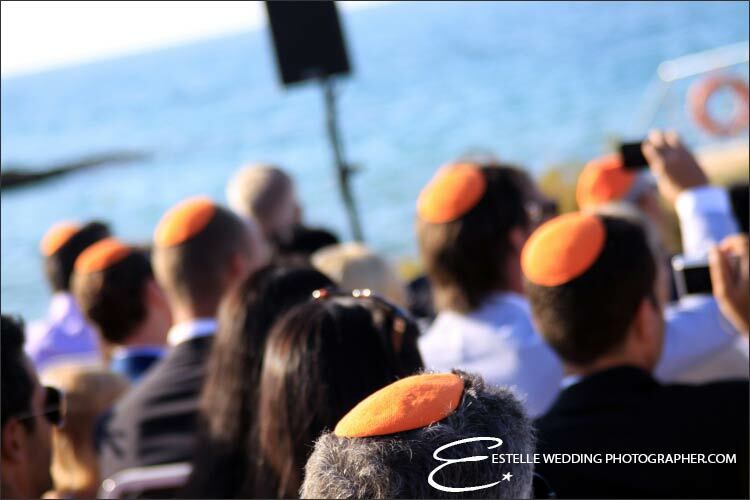 A Jewish ceremony is full of symbols and traditions that cannot miss. One of them is the signature of the Ketubah and groom breaking the glass into a million pieces! 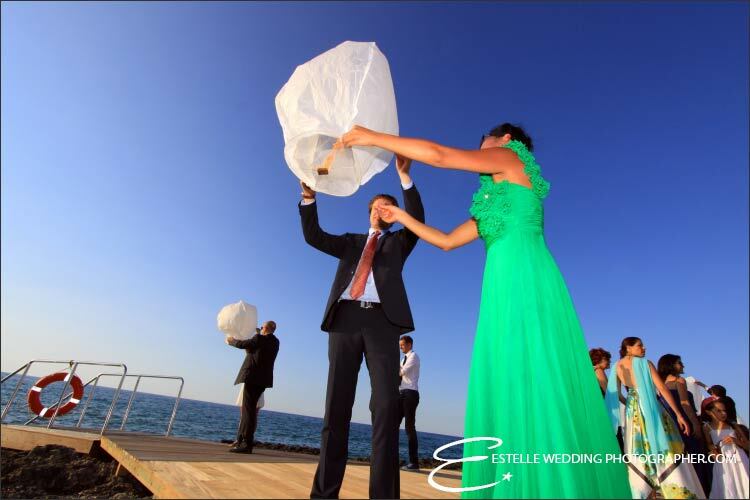 Michela and Michela can create the perfect arrangement to personalise the ceremony with their caring attention to details. 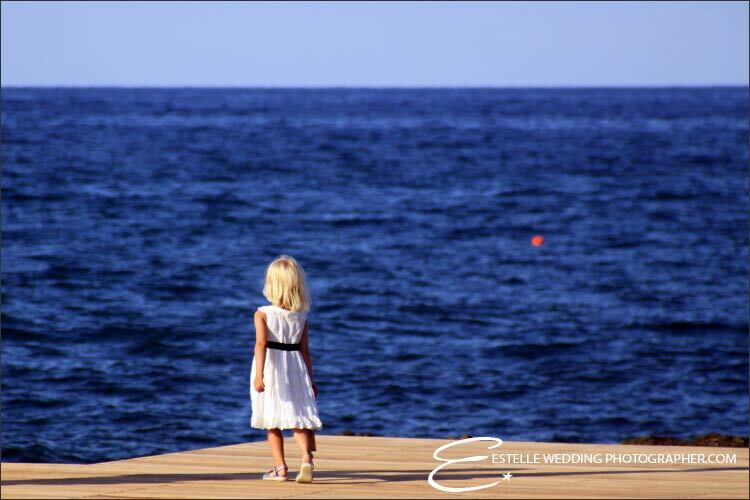 Talking about photos we cannot express how thankful we are to Estelle Wedding Photographers Studio. They did a great job with pictures. You can surely appreciate them here. After the ceremony bride and groom and their guests were all pleased to join the reception with a wonderful outdoor aperitif and dinner to follow. Music could not miss to make the atmosphere festive and joyful up to very late at night! 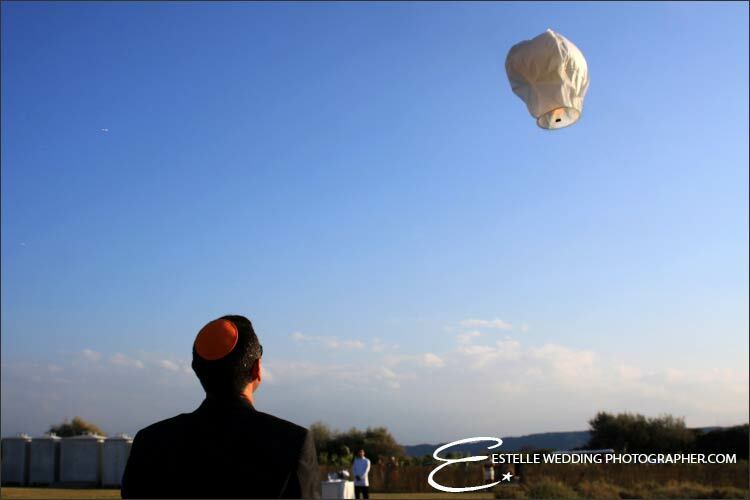 With some special lanterns released in deep blue Apulia sky! 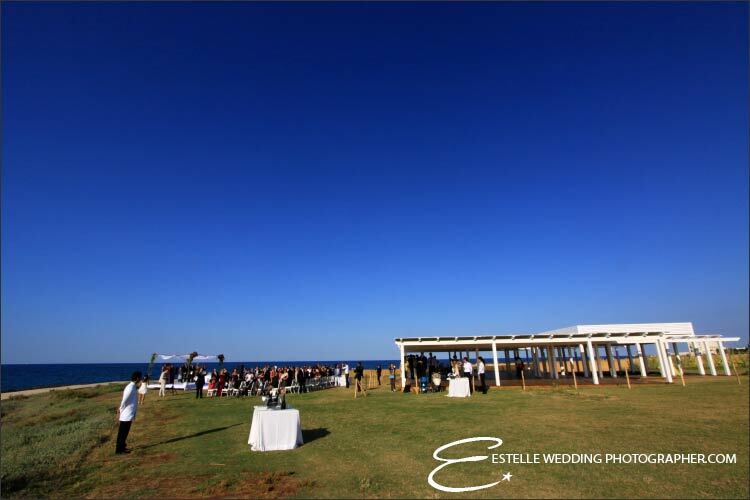 How beautiful is this wedding venue? 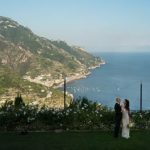 Michela and Michela’s couple choose little village of Savelletri. It is a small fishermen village on the shores of Adriatic sea. 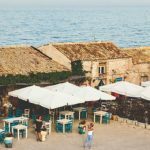 It has a wonderful little port and many small restaurants on the shore where you can taste amazing Apulian cuisine. 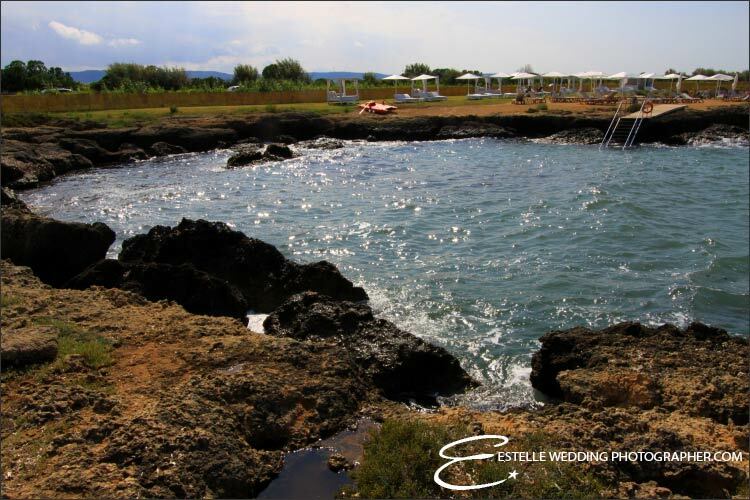 Savelletri is located not far from Brindisi and its airport and just few kilometres from famous archaeologic site of Egnazia. 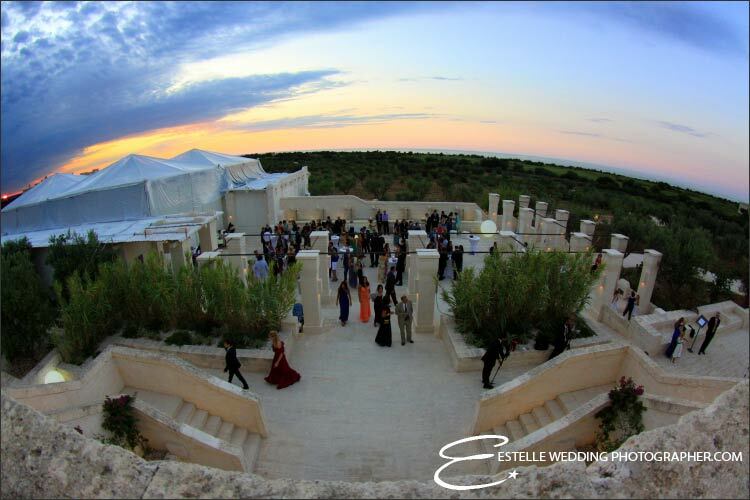 A destination full of charm and mystic for your special wedding in Apulia. If you prefer countryside not far from sea shores you can also find ancient masserias. 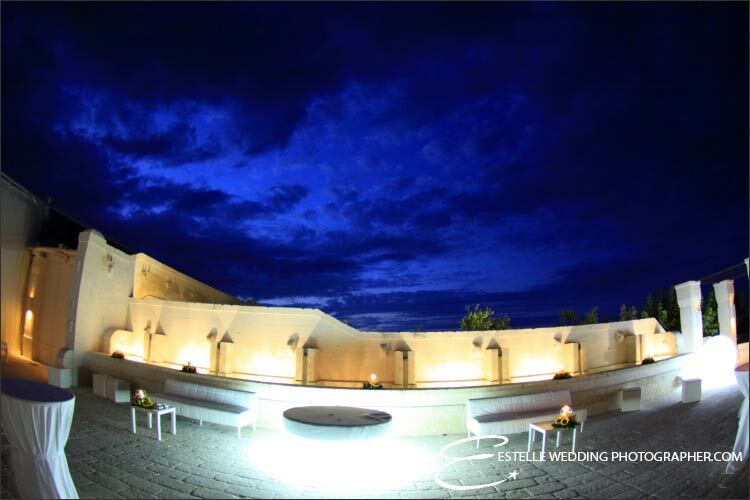 A Masseria is an Apulian fortified farm or country house producing olive oil or wine. 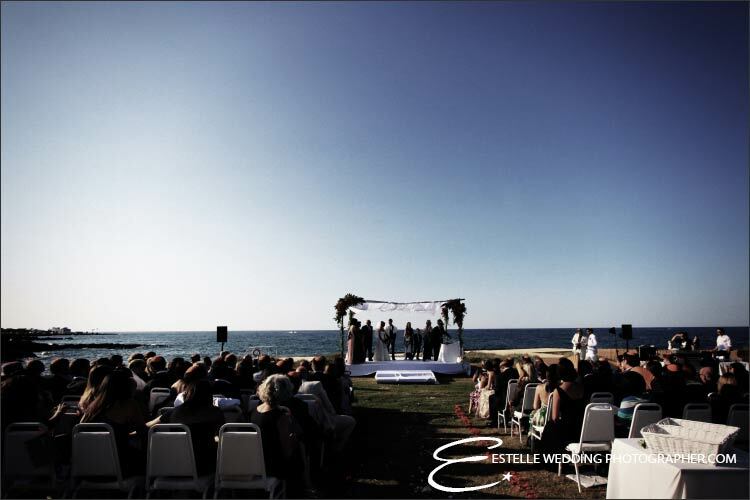 Most of them are now converted in wonderful Relais or Resort, very scenic venues for a wonderful wedding|! 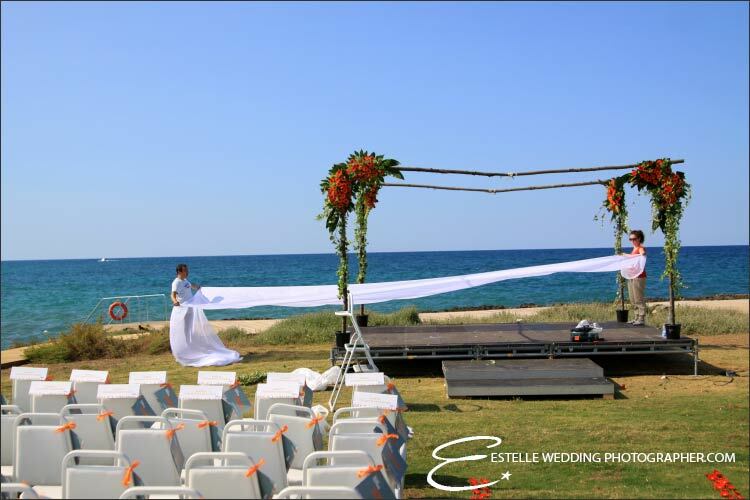 You could choose small ones conducted by local families for an intimate and small wedding or bigger ones with SPA, swimming pools, golf courts and other facilities for bigger numbers. Apulia region is always full of surprises! 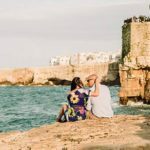 If you like experience the real Apulia you will surely fall in love with town and villages as Monopoli, Marina di Ostuni, Capitolo or wonderful Polignano a Mare a medieval village right on the coast line built on its rocks. 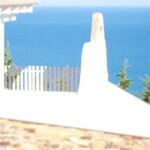 Come to discover Apulia region…. 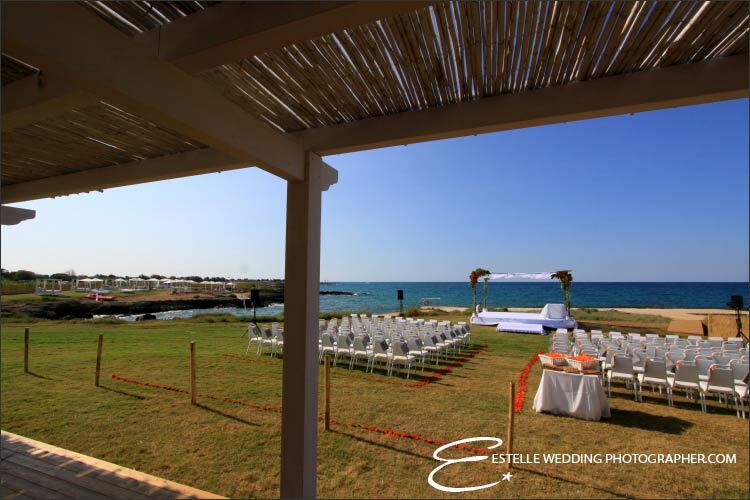 seaside, countryside and wonderful coast is waiting for you and your guests to experience a wonderful Italian seaside wedding!